Dallas, Texas – The mission of Ohio University Athletics is to successfully develop the student-athlete as a person, student and athlete. The recent partnership with Vivature will benefit Ohio University to stay firmly committed to their principle of positive advancement, while upgrading their training rooms with cutting-edge technology and also generating a new revenue stream that will be re-invested back into their elite athletic department. 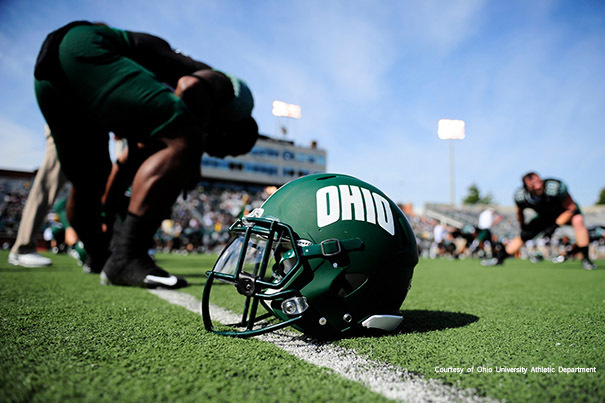 The proud Bobcats are the National Collegiate Athletic Association (Division l-FBS) teams that represent Ohio University, located in Athens, Ohio. Ohio is a charter member of the Mid-American Conference (MAC). The Bobcats are currently in the East Division of the conference, and sponsor teams in six men’s and nine women’s NCAA sanctioned sports. The football team competes in the Football Bowl Subdivision (FBS), the highest level for college football. The Bobcats are the 4th member of the MAC to join Vivature and their cutting-edge technology. “We are very excited about our partnership with Vivature. It will improve our service to student-athletes, optimize our recordkeeping and generate additional funding to serve the needs of our students.” Ohio University’s Athletic Director, Jim Schaus stated. “Our goal is to continue to grow our clientele with great universities like Ohio University, who are willing to take action on their commitment to the well-being of their student-athletes and who take seriously the privacy and security of their student-athletes’ health information”, said Vivature CEO, Muzzy Bass. “It’s always been my personal ambition to improve the way an athletic training room operates and help the athletic trainers find more efficient ways to perform their job duties. If we can help reduce the amount of administrative time spent and redirect that time towards the care of athletes, everybody wins. This is just another step towards achieving our overall goal. Our solution brings a new level of compliance; as well as an opportunity to turn the work that the athletic trainers have historically been performing into a new revenue stream and earns them more recognition in the medical community.” Added Vivature Executive Vice President, Lance Wilson.